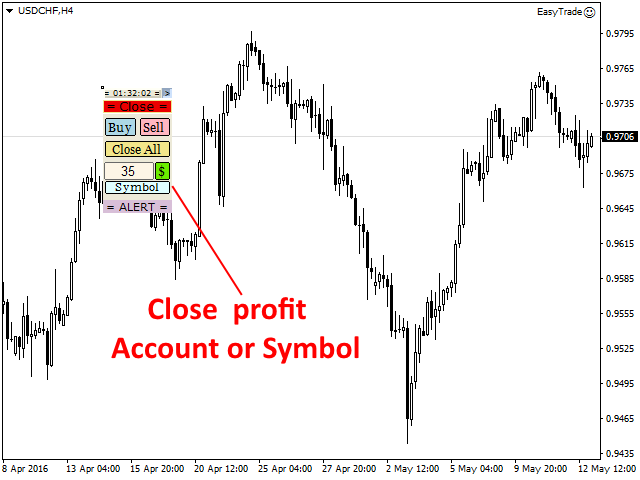 Closing positions by the total positive profit of the account or symbol, the value must be greater than "0"
Before using the program on a real account, test its capabilities on a demo account. it's good product, really make it easier to open position. just if possible, could we have default to show on/off the open position button ? 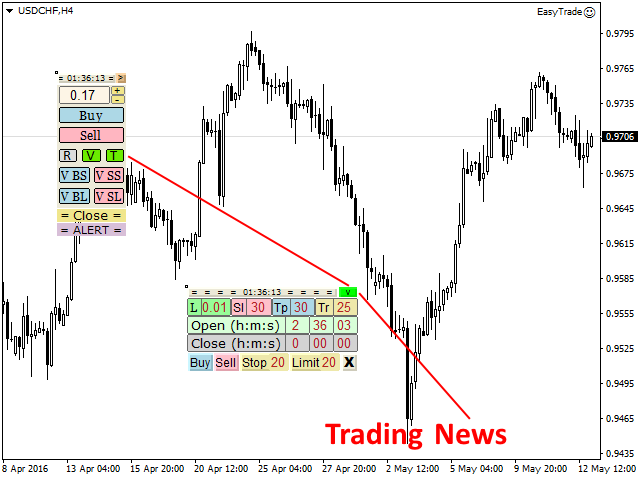 it will be messy if too many open position..
Easy to use and very handy tool. 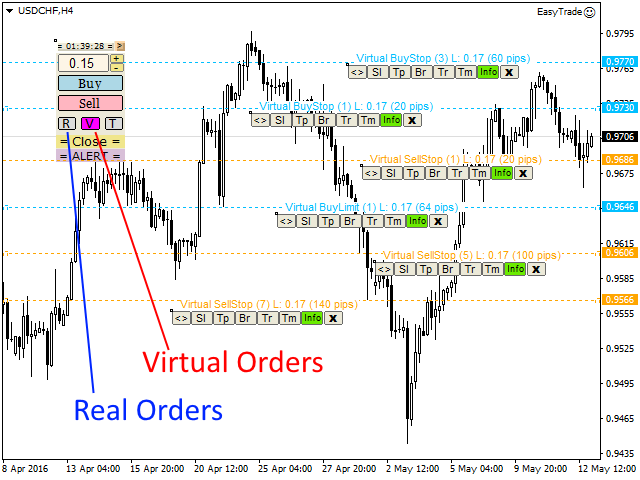 Give exact profit /loss while placing the order. I am using from past few days and extremely happy. The updated version doesn't have any issue with lot size. Author is very cooperative and was explaining the functionality in details , when contacted. A five start product with lot of cooperation from author side. Update after using one year (17/Nov/2018) !!! I have used this product from last one year and very happy user .. Very useful product!! Handy app with a lot of features. I mainly use it for opening potions and setting stops/limits with instant predetermined SL, TP and Break even. 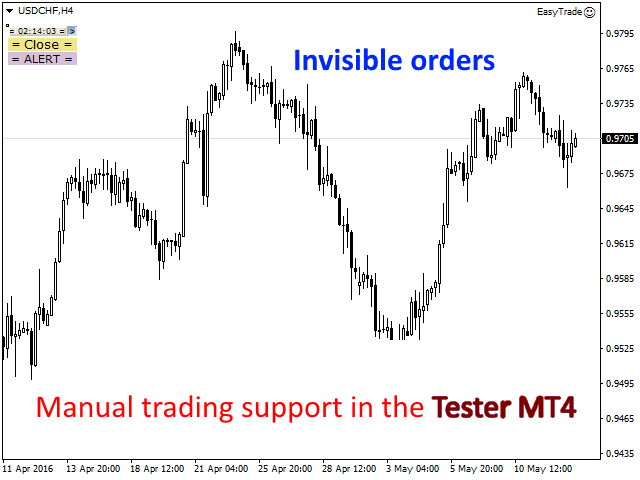 Saves a lot of time and keeps your SL and TP secret from your broker in case they're shady. Would be five star with a couple fixes I mentioned in the comments. Demoted to 3 star because author does not respond and apparently will net fix the issues like changing the lot size which is a huge issue. Добавлено максимальное количество виртуальных ордеров до 40 шт. Fixed lot calculation when working by time. Changed the lot selection when placing virtual orders. The lot can now be changed without deleting the order. 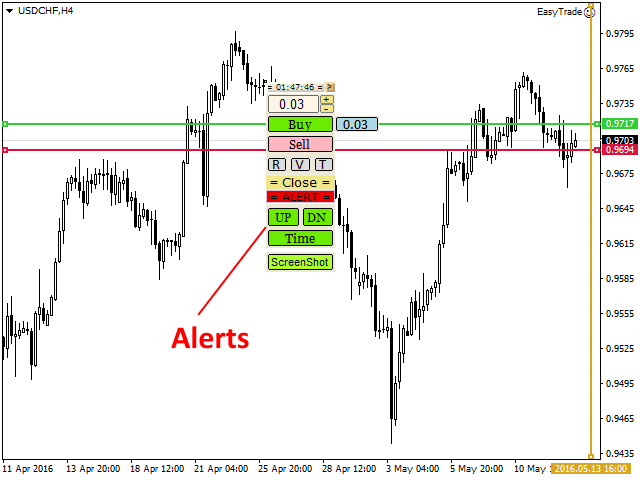 Improved control when dragging pending orders. Fixed the lot size calculation. Fixed deletion of objects.